Leaders of Gulf Arab states have pledged solidarity with Morocco in its dispute with the UN over the fate of Western Sahara. Saudi King Salman, chairing a summit of rulers of the Gulf Cooperation Council (GCC) in Riyadh, issued a statement supporting his long-time North African ally as he welcomed Morocco’s King Mohammed on a visit to the kingdom. “We stress our mutual solidarity and support for all the political and security issues which concern your brotherly nation, foremost among them the Moroccan Sahara (Western Sahara) issue, and we reject completely any prejudice to the higher interests of Morocco,” Salman said in the statement. King Mohammed went on to say that the UN’s Ban had been misled by his advisers on the Western Sahara issue. 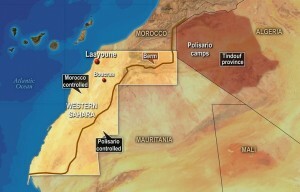 The Sahrawi people’s Polisario Front say the desert territory on Africa’s northwest belongs to them. Local Sahrawi people are campaigning for the right to self-determination, but Morocco considers the territory as part of the kingdom and insists its sovereignty cannot be challenged.